Since 2011, Detroit™ Connect Virtual Technician℠ has led the way in delivering quick, actionable engine and aftertreatment fault diagnosis information to fleet customers. Virtual Technician alerts fleets when an engine fault occurs. The system interprets the fault code and sends an automated email to the fleet advising the proper course of action. 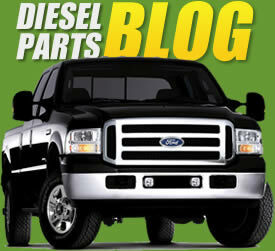 If it is a severe fault – “Service Now” – event, an expert at the Detroit Customer Support Center sends a follow up email within 30 minutes with a more thorough assessment about what is causing the problem with their Detroit engine, what parts are recommended to fix the problem, and where to find nearby service locations with those parts. Emails about problems with individual trucks and engines are important, but it’s hard for fleet managers to collate that information into an overall picture of how their entire fleet is performing. While customers value those emails, these customers have become increasingly more sophisticated about how they use and consume vehicle health and performance data. The new Detroit Connect portal will address that need to have richer vehicle health and performance data by giving customers a data dashboard that will allow them to see the health status of the engines in every truck in the fleet, while enabling them to dive deeper into specific fault events communicated through Virtual Technician. Fleets can track engine fault code history and view fleet fault trends to identify those that have been experiencing problems. The portal will also allow users to view and archive Detroit Diesel Engine Control (DDEC) reports, which use diagnostics to further analyze vehicle performance. The Detroit Connect portal will also include options for communication and reporting customization, and will serve as the access point for other ground-breaking features such as ability for fleets to remotely adjust a select set of parameters on their Detroit engines. This portal will also be available on limited Freightliner trucks models beginning in 2017, and to all customers with an active Virtual Technician subscription. Virtual Technician is a standard feature for all Freightliner and Western Star trucks spec’d with Detroit engines, including the new DD5® engine, which will soon be available on the Freightliner M2 106. We are currently piloting the portal with select customers with an eye on launching it to all Detroit Connect customers late 2016. We’re almost as eager as our customers are to see it in action!